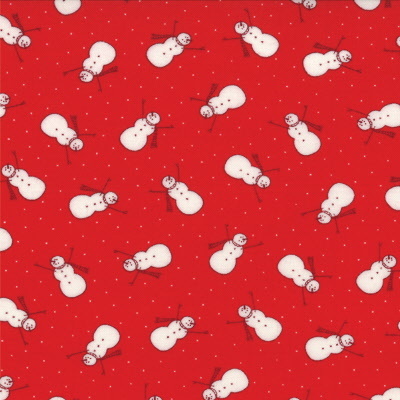 I thought this was the most beautiful Christmas range of fabrics that I have seen for ages. Designed by Bunny Hill Designs for Moda, this is a true christmas classic in red and ivory. Price is for one fat quarter, so if you require half a metre put 2 in the shopping basket and 4 if you want to order a metre.